Brand recognition and fuel efficiency are two major factors people consider when purchasing new vehicles. 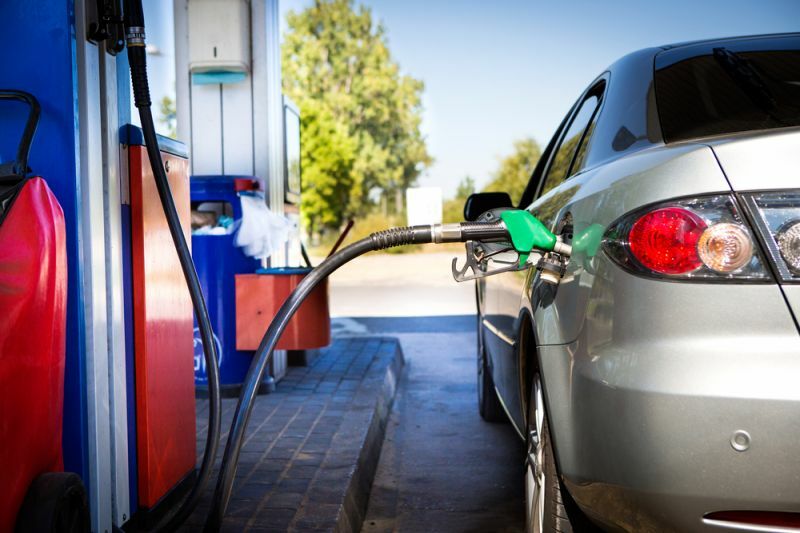 Regardless of short-term fluctuations in gas prices, a car's fuel economy impacts the day-to-day costs of going with a particular model. The automakers are incentivized to build efficient cars too. President Barack Obama announced new fuel efficiency standards back in 2012, instating a brand minimum average of 54.5 combined miles per gallon by 2025. With this in mind, which brands are well on their way toward achieving this goal? AxleGeeks ranked the biggest brands based on average fuel efficiency. Nissan's cars get an average fuel economy of 24.5 mpg. When compared to Japanese non-luxury brands, this falls short of the average 27.5 mpg. If you're shopping for an efficient Nissan, your best bet is with a sedan or coupe, which offer better fuel economy relative to competitors. Acura is the only luxury brand to make the list, as its vehicle lineup earns on average 25 combined miles per gallon. A big reason for this is the advancements Acura has made, including its intelligent valve control system, which helps its engines operate at high performance standards while keeping efficiency high, as well. Toyota, as a brand, is known for its fuel-efficient vehicles and good reliability. With its lineup averaging 26.5 miles per gallon, it falls low on the list compared to competitors like Honda. However, Toyota does have pick-ups in its lineup, and they've improved their full efficiency to a degree recently. A good illustration is the Toyota Camry, which went from 22 city miles per gallon with its 2010 model to 25 city mpg in 2016. Hyundai vehicles average 27 combined miles per gallon, giving the manufacturer an advantage over other brands like Toyota. Hyundai strives to make some of its vehicles more efficient by equipping them with four-cylinder engines and responsive six-speed automatic transmissions. What makes Mitsubishi distinctive is that, though its vehicle lineup is small, all vehicles but its Lancer Evolution model earn at least 30 mpg or more on the highway. With that said, its vehicles haven’t seen a substantial increase in efficiency as of late. For example, its 2005 Lancer Model earned 34 highway mpg; its 2016 model delivers 35 highway mpg. While both outputs are impressive, it illustrates Mitsubishi has a ways to go to meet coming efficiency mandates. Kia’s lineup also earns a combined 27 miles per gallon. What aids Kia’s vehicles in delivering efficiency is its Gasoline Direct Injection engine. This engine works by injecting pressurized fuel into cylinders as the engine goes through its combustion cycle, resulting in increased efficiency and lower emissions. Scion embraces efficiency through the design of its vehicles. Its 2016 iA model features an aerodynamic body to reduce wind resistance, resulting in a sedan that averages 37 combined mpg. The German manufacturer’s lineup earns a combined 28 miles per gallon, making its offerings more efficient than BMW's. Helping its average are multiple hybrid models and the e-Golf, an affordable electric car starting under $30,000. Its combined fuel efficiency of 28 mpg for its lineup is impressive, considering it makes MINI’s automobiles more efficient than Hyundai and Toyota. MINI continues to tinker with improvements, but hasn't changed much when it comes to its most popular model, the MINI Cooper. The 2005 MINI Cooper earned 36 highway mpg, while its 2016 counterpart earns 39 highway mpg. Subaru continues to be a good brand due to its vehicle reliability. Subaru’s Boxer Engine is a big reason for its improved efficiency, offering a horizontal design. This positioning allows the engine to easily transfer power to the drivetrain, resulting in increased efficiency. Honda is a brand that's well-known for its dependability, and its efficiency isn’t too shabby either. With its vehicle lineup earning 29.25 miles per gallon, it makes Honda more efficient than many of its competitors. Moreover, Honda has made rapid gains in improving its models’ efficiency, as the 2008 Honda Civic earned 34 highway miles per gallon and the 2016 Civic delivers 42 highway mpg. Mazda continues to be one of the best car brands due to its exceptional fuel efficiency. As an illustration, it has three models that earn an EPA-estimated 40 mpg or more on the highway, which is remarkable and more in line with the coming mandate standards. It also makes its lineup more efficient than both Toyota and Honda. Known for its distinctive Italian styling, Fiat also delivers efficient vehicles. Its lineup, though small, earns on average 31 combined mpg. Each of its gasoline engine vehicles deliver at least 33 highway mpg or more while its electric offering — the 2015 Fiat 500e — has an exceptional equivalent efficiency of 122 city mpg. Don’t let the size of its vehicles fool you, Smart engineered these impressive models with Mercedes Benz. Smart’s models excel in performance and efficiency, delivering a combined 35.5 mpg on average, making them excellent commuter cars. Tesla embodies the future of automobile engineering. While certainly on the more expensive end of the spectrum — its Model S begins at $59,500 after tax savings — Tesla vehicles deliver great performance with their electric motors. This also represents significant fuel savings for you, as according to Tesla, you could save an estimated $8,000 in fuel charges over five years of use. Tesla cars get the equivalent of 94 mpg.